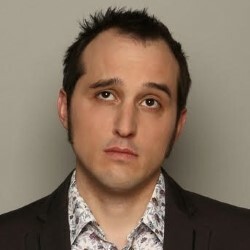 After winning the Edinburgh Panel Prize in 2014 with Funz and Gamez, Phil’s ready to bring his unique, anarchic and unreliable comedy to the masses. Phil doesn’t mean to brag but he’s been involved with no less than five failed pilots and over 20 unread TV show ideas. Join him for an hour of fun and desperation. ‘…Much cleverer and much more stupid than you might think’ **** (Chortle.co.uk). ‘…Genuinely, endlessly hilarious’ **** (Scotsman).